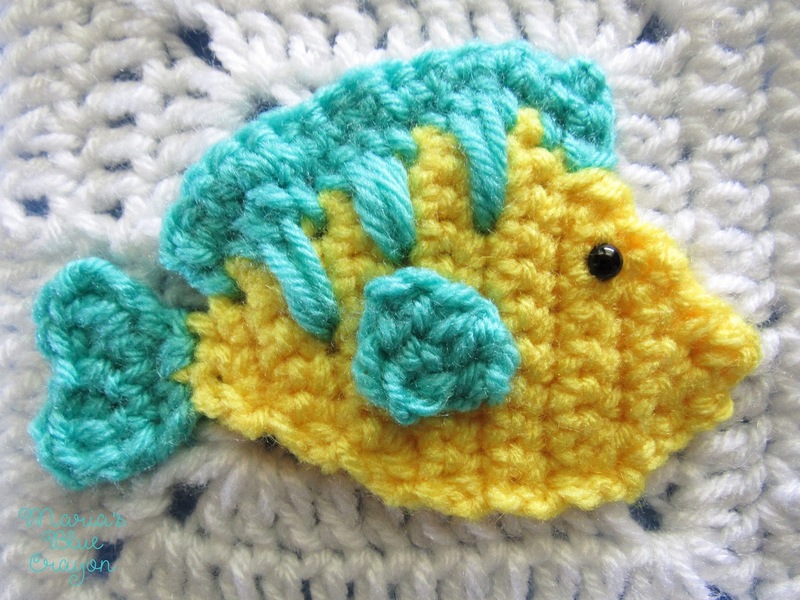 GET THE CROCHET TROPICAL FISH APPLIQUE AND GRANNY SQUARE PATTERN IN AN AD-FREE PDF DOWNLOAD HERE. 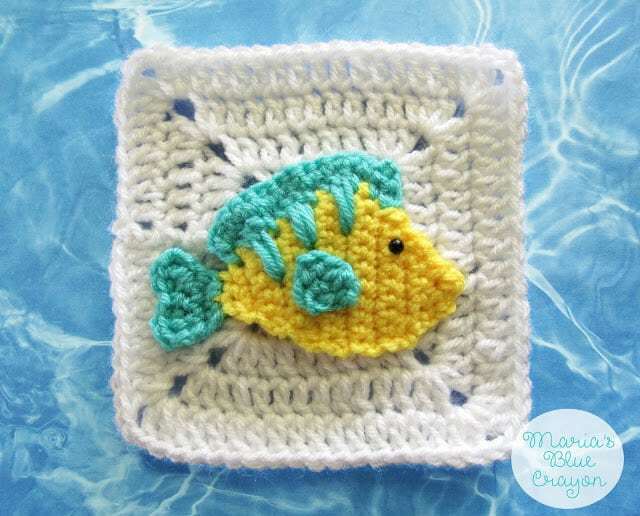 OR SCROLL DOWN FOR THE FREE TROPICAL FISH CROCHET PATTERN. The Tropical Fish is the 12th square of my Ocean Afghan. To find all the information about this Afghan click here. My goal is to have this afghan done by the end of July! Three more designs to go and I’m already starting to join the squares! So stoked. PIN THIS TO YOUR CROCHET BOARD ON PINTEREST. Find the pattern for the granny square here. Thank you for designing this afghan. All the sea creatures are adorable. You have done a wonderful job. I haven't been able to start mine yet due to other projects, but it is next on my list. Awe, Flounder! How adorable!!! I can't wait to see all of the squares together!